Hans Langan has been working with patent-related matters since 1999. He provides advice on strategic patenting issues and deals with all matters related to patenting, such as prior art searches, patent drafting, prosecution, validity assessments, infringement analyses and oppositions. Mr Langan’s technical expertise generally lies within the field of mechanical engineering, and he has substantial patent-related experience from the oil and gas exploration and production industries. He graduated with a degree in aeronautical and astronautical engineering from the Ohio State University in 1985. He was subsequently granted the Norwegian sivilingeniør degree by the Norwegian Institute of Technology. Mr Langan started his career in 1986 as a project engineer in the development department at Kongsberg, performing aerodynamic analysis work on tactical missiles. 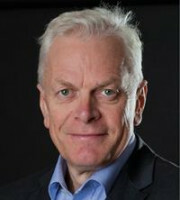 From 1988 until 1999, he held various positions in the Norwegian oil and gas exploration industry, focusing progressively on contracts management within large field development projects. His employers and clients in this period included Aker, Kværner, Saga Petroleum and Shell. He was employed by Bryns Patentkontor (now a part of Zacco) between 1999 and 2008 as a patent attorney and subsequently as head of the patent department. In the period between 2008 and Summer 2012, Mr Langan was patent attorney and partner with Onsagers AS in Oslo, before re-joining Zacco in August 2012.